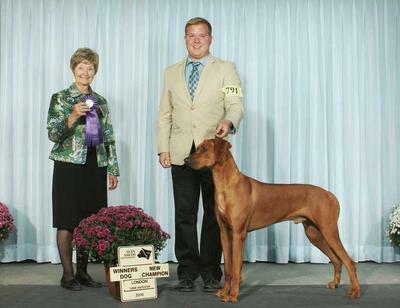 Best of Winners/Best Puppy at the specialty and all breed show. He also earned a Best Puppy in Group along the way! 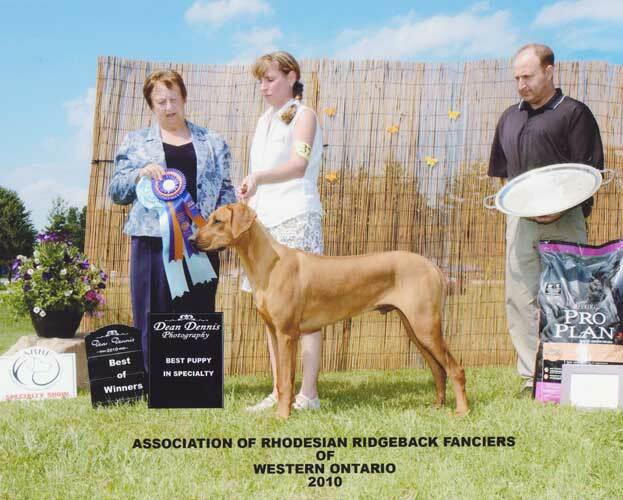 NEW Champion - Priderock's Mythology Tail - "Zeus"
along with his Auntie Hera (another RR) ... and a herd of Dachshunds!